We finally found a Made 2 Order son that we had to add to our lineup! We can appreciate there is an added emphasis on keeping cattle long and pretty fronted in the show ring. G.O.A.T. delivers extreme style to along with an excellent set of feet and legs. 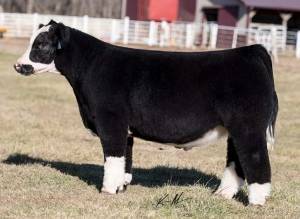 He is a powerful full brother to Maronde Family’s many time champion in Nebraska in 2018. Raised by Seth Plendl, watch for this bloodline to gain popularity in the coming years.